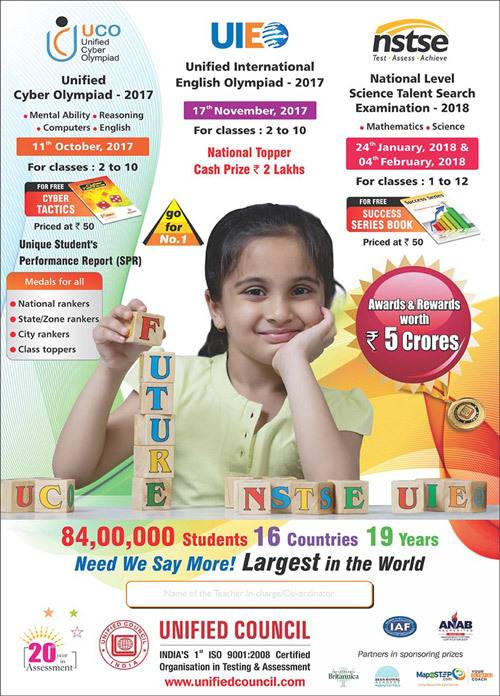 Schools interested in participating in NSTSE, UCO & UIEO with more than 40 students from the school, please contact us for detailed information brochure. Frame the list of students in the prescribed format. Please send a single consolidated Demand Draft for the exam fee of all the students appearing for the NSTSE/UCO/UIEO from your school. The D.D. should be drawn in favour of UNIFIED COUNCIL, payable at Hyderabad.